Beyoncé has now confirmed that she will star in Clint Eastwood's upcoming remake of A Star Is Born which is due to begin filming this autumn with a release date set for 2012. She will play aspiring singer Vicki Lester which was the part made famous by Janet Gaynor (1937), Judy Garland (1954) and Barbra Streisand (1976). 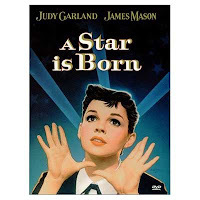 The most famous version was made in 1954 and turned Vicki into a singer, added songs, and cast Judy Garland and James Mason as the lovers. Leonardo DiCaprio has been approached to play the male lead Norman Maine. A Star Is Born tells the story of an aspiring young actress meeting and marrying an established Hollywood movie star, whose career collapses and he sinks into alcoholism as her career takes off. The last 1976 remake starring Barbra Streisand and Kris Kristofferson was produced by Streisand’s then husband Jon Peters. He is also producing the new movie which Eastwood is directing and which will once again be set in the music biz and not in Hollywood. If DiCaprio comes through he can certainly add the emotional depth to make as much of Norman Maine as James Mason once did.